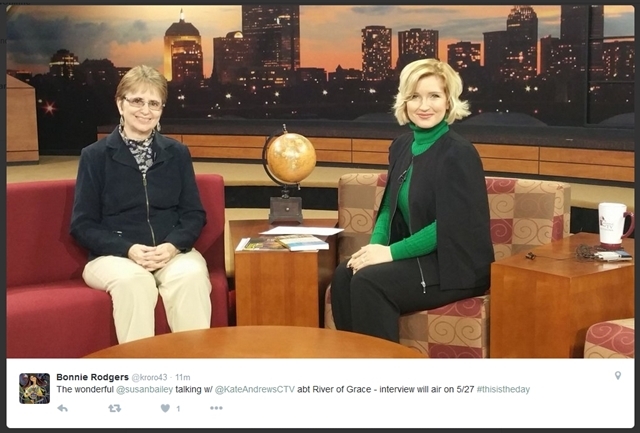 Last week was busy with interviews about River of Grace and Louisa May Alcott: Illuminated by The Message! 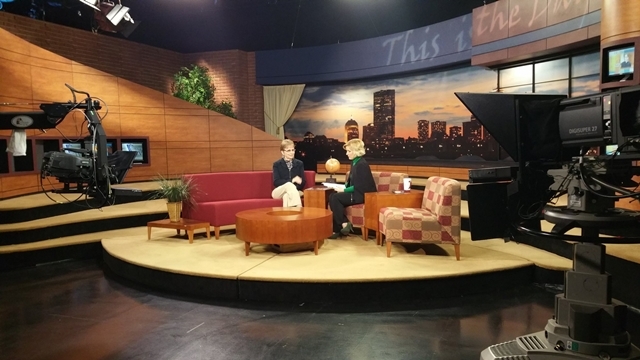 I had the distinct pleasure of being interviewed for CatholicTV’s flagship program, “This is the Day” this past Friday regarding River of Grace. The lovely Kate Andrews conducted the interview and we had a wonderful conversation about losses and the grief journey, and how every person is blessed with creativity through the Holy Spirit. ​​The show will air for the first time on Friday, May 27th at 10:30 and rebroadcasts Friday at 7:30pm, Saturday at 4:30am and 5:30pm and the following Monday at 12am. It will be available online anytime during that period at http://www.catholictv.com/shows/this-is-the-day. I also had the good fortune to be interviewed by Erin Franco of The Right Heart podcast and Humble Handmade blog. 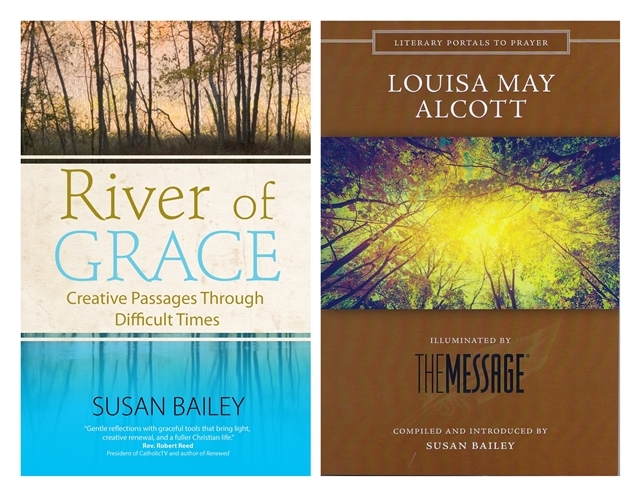 ​We talked about both River of Grace and Louisa May Alcott: Illuminated by The Message, focusing on how Alcott became my grief counselor and the catalyst which jump started my creative life. 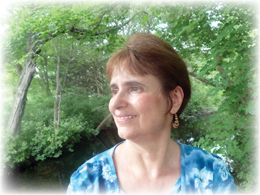 Erin conducted a wonderful in-depth interview which truly reveals the essence of both books. As soon as this podcast is available, I will post the date. I am grateful to CatholicTV and to Erin for giving voice to River of Grace and Louisa May Alcott: Illuminated by The Message. 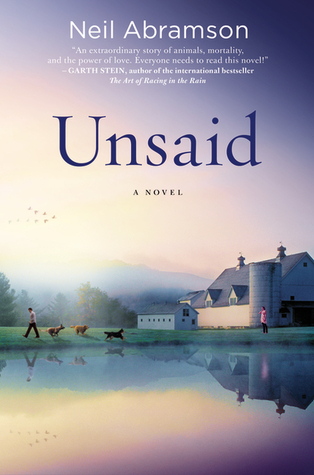 Unsaid was recommended to me by a friend whom I know to be thoughtful. We are both animal lovers and she warned me to “have the tissues ready.” While the idea of reading about animals drew me in, I was also curious about the lead character’s grief journey since I have journaled extensively about my own since my mother died four years ago. My reflections have been from the point of view of faith in heaven; Unsaid told the story of grief from a purely human angle. And yet I found the same spiritual truth: if we allow our grief to carry us, it will take our loss and help to shape a new life. The story is told from the point of view of the beloved dead wife, Helena, pondering the meaning of her life as she observes her husband David trying to carry on without her. She, a dedicated veterinarian, had died of breast cancer at the age of thirty-seven. Her husband, a high-powered Manhattan lawyer cannot deal with his loss. Helena and David met attempting to rescue a deer one night that had been struck by a car. In the ensuing years they bought a farm an hour out from the city which housed two horses, a pig and several dogs and cats. Upon reflection the now dead Helena feels she may have imposed too much of her life upon her husband. She sees how he struggles to maintain the routine of caring for the animals each day. It eventually becomes too much and he hires some help: a nurse from a competing vet and her autistic son Clifford who has extraordinary drawing ability and insight into the mind and heart of animals. Coming into contact with a former colleague of Helena’s, Jaycee, David learns of their work with chimpanzees. Jaycee has developed a strong parental relationship with a four-year-old female, Cindy, who can communicate on the level of a four-year-old child. David finds himself going to trial defending Jaycee who tried to take Cindy from the lab when she found out the chimp was scheduled for medical experiments. Unsaid builds slowly but I didn’t mind; I was interested in David’s grief process. The book probed the mind of a man who had to come to grips with his loss, not only of his wife, but of his very self. At the same time Helena needed to make peace with her own life, seeing that it did, in fact have value. It is how the value of her life and its impact on David unfolded throughout the book. Grief is a mysterious and creative process whether we believe in an omnipotent God or not. Unsaid does a wonderful job of pointing out the value of grief and its transforming power so long as we are able to go along for the ride. David is eventually able to move on and as a result, discovers a new and deeper way of living. 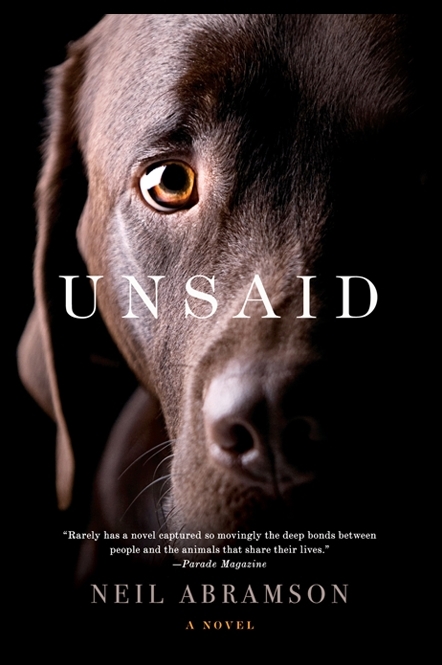 Unsaid is provocative in what it says about the value of animals and animal lovers will rejoice in this. While the arguments during the trial certainly favored the chimpanzee, I felt that Abramson tried to be fair in presenting the other side of medical experimentation: the need to find cures for human diseases. There are subplots including a sickly dog and his touching relationship with Clifford (and yes, tissues were needed for that subplot) and how his mother, scarred by her own losses, came to embrace the goodness of life again. The slow boil of this story explodes near the end of the book; one chapter left me positively breathless. The way Abramson resolved the many issues in the story through a series of twists and turns, was very well done. This is not just a feel-good story about animals; it is a gritty and realistic exploration of human love and loss. 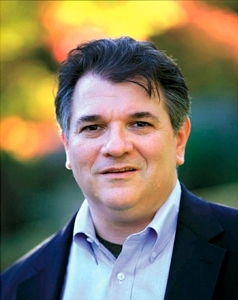 Abramson has an interesting background combining his love, respect and knowledge of animals with a thorough knowledge of the law. His understanding of human nature isn’t too shabby either. Unsaid is his first novel; I hope there are many more. I wrote back to my friend and told her that I loved Unsaid. I hope that you will too.